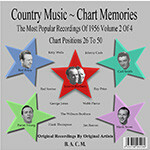 24 songs from 1952/54 by this good looking girl with a great country voice and some fine songs including the answer to Slim Willet's "Don't let the stars get in your eyes" (two versions of which are on our Slim Willet collection, CD 317). 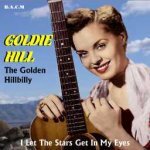 BACM's third collection of recordings from 1950s country songstress Goldie Hill, featuring several country music classic songs including When My Blue Moon Turns To Gold Again, Half A Mind and Fallen Angel and Jim Reeves hits like Four Walls, According To My Heart and How’s The World Treating You. 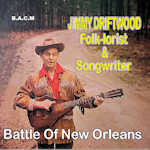 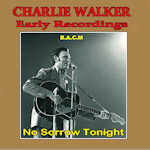 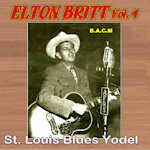 Tracks 76 - 100 of the most popular original recordings of 1959, by the original artists. The Chart Memories Collection is a limited edition, mini-series created to appeal to all country music collectors. 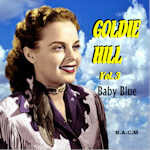 Excellent steel guitar and fiddle based 50s/60s music from this strong voiced girl singer; 26 fine tracks, a follow up to our well-received Volume 1 (BACM 107).